The brown bear is a large, omnivorous mammal found throughout northern and central Europe, Asia, and North America. Adults can reach up to nine feet in head and body length and can weigh from 176 to 1500 lb depending on the subspecies and range. Males are usually larger than females. Bears found more to the north tend to be larger than those found in southern locations. Fur color varies according to subspecies from blonde to almost black, but the average brown bear fur color is dark brown. Some subspecies are known as "grizzly bears" because they have long, frosty white hairs along their shoulders and backs resulting in a grizzled appearance. Brown bears are good swimmers and have a good sense of smell. Brown bears can live in a variety of habitats, such as mountainous forests, desert edges, ice fields, tundra, alpine meadows, and coastlines. They prefer habitat that is densely covered and where there is available shelter in the day. The brown bear is generally solitary and more active at night. They will eat just about anything, including plants, berries, roots, fish, insects and small mammals such as squirrels. Some subspecies have been known to feed on dead animals, and in Canada, have been known to hunt larger mammals such as sheep, goats, elk, and moose. The brown bear's hibernation period depends on the subspecies and location. Generally, brown bears hibernate from October to December and become active again between March and May. Other brown bears subspecies only hibernate for a short time or do not hibernate at all. 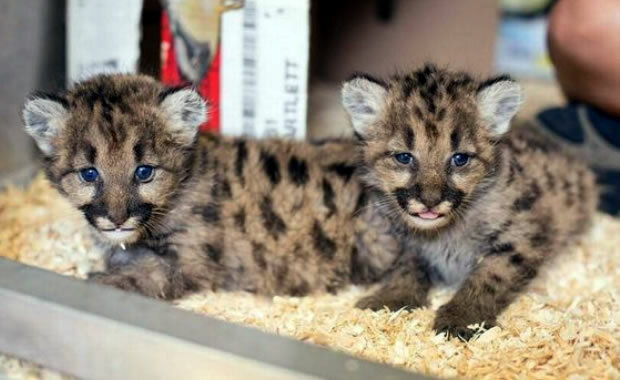 Females may mate with one or more males from May to July and give birth to two to three cubs. Three brown bear subspecies are endangered: The European brown bear - Ursus arctos arctos, which inhabits isolated plains from Norway to the Siberian peninsula and as far south as Greece, the Tibetan blue bear - Ursus arctos pruinosus, found in the eastern Tibetan plateau of Central Asia and rarely seen in the wild, and the Mexican grizzly bear - Ursus arctos nelsoni, which was once found in Mexico and southern USA and said to be possibly extinct. The main cause of decline is a dramatic reduction of habitat due to human settlement. Also, brown bears are hunted for sport and in some areas are persecuted because they are believed to be dangerous to humans and a threat to livestock. Conservation efforts vary in intensity, from highly organized management of brown bears in North America to little or no management of most Asian species. Copyright Notice: This article is licensed under the GNU Free Documentation License. It uses material from the Wikipedia article "Brown bear". Glenn, C. R. 2006. 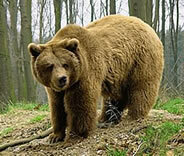 "Earth's Endangered Creatures - Brown Bear Facts" (Online). Accessed 4/24/2019 at http://earthsendangered.com/profile.asp?sp=30&ID=6. Need more Brown Bear facts?